If you have been looking for a screencasting tool, look no further. 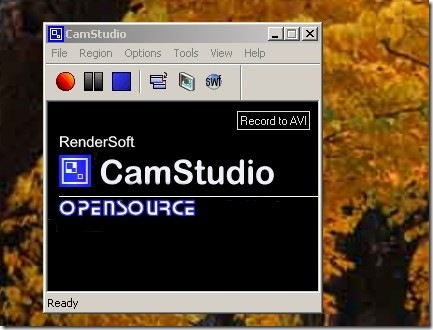 CamStudio is a free and open source screencasting tool. 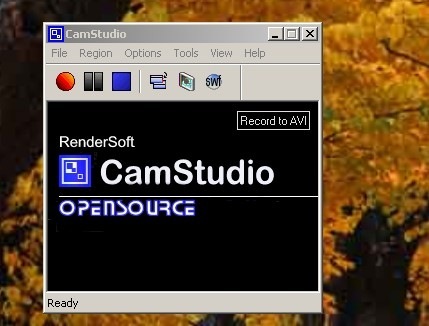 CamStudio can record all screen and audio activity on your computer and create an AVI video files. Also, it comes with a built-in SWF producer that can convert the AVI files into bandwidth friendly SWF flash files. CamStudio lets you add high-quality, anti-aliased screen captions to your recordings very easily. It even has a video annotation feature where you can personalize your videos by including a webcam movie of yourself ‘picture-in-picture’ over your screencast area. CamStudio can record your entire desktop or just a region you specify. You can also choose custom cursors and control the size of the video by choosing the quality of the video. CamStudio even comes with its own Lossless codec which means it provides a very high quality video with smaller file sizes. Plus, the interface (though not all that attractive) is simple and easy to learn in a few minutes. TechSmith’s Camtasia Studio is definitely a wonderful product but the cost may not be justified for casual screencasting needs. A while back I had downloaded a free version of Camtasia but was looking for something newer. CamStudio is definitely a great alternative for those looking for a free screencasting tool.